Demandware has been an abConsulting client for many years. What began with a need for a clear go-to-market plan morphed into a larger scope of work including several complementary projects: event planning, media buying, campaign briefs, content curation, and project launches. As so often happens with a number of our successful clients, Demandware was acquired recently. 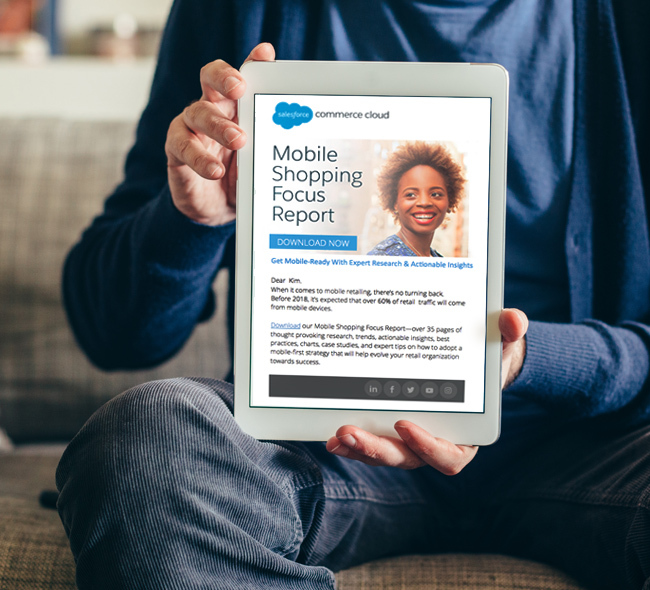 And we continue our relationship with them by their new name — Salesforce Commerce Cloud. We are pleased to have been retained as the demand-gen agency they rely on to craft compelling, engaging emails for lead nurture, re-engagement, and product campaigns.